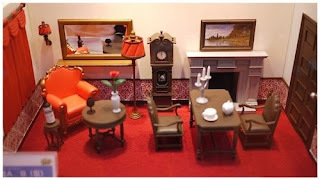 Welcome to our wish list where we share with you some of the up and coming figures which capture our eye. I contemplated this figure for a long time at first she seemed a bit plane and uneventful to me. Just all black and some blue. 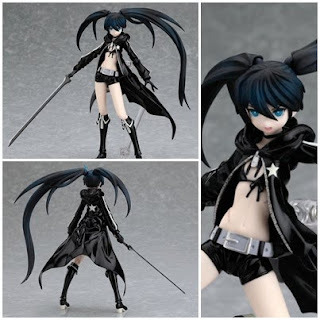 However Black Rock Shooter grey on me. After watching the Anime which I wasn't too impressed with, however the action scenes with Black Rock Shooter and the other characters were just so beautiful and cool that I decided since I want to get Dead Master and Black Gold Saw I might as well make the set and get Black Rock Shooter, and so I placed myself a pre-order, and I must say since then I rather like her character design and think I will be rather happy with attaining her. 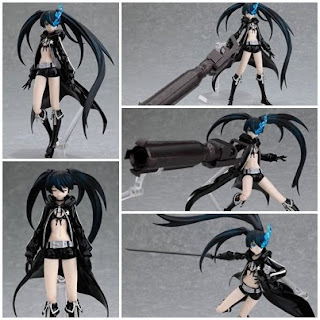 I have ordered my Black Rock Shooter from AmiAmi, and she comes out in late August. Next up is Dead Master, like Black Rock Shooter I wasn't completely sold on getting her since her design is all black, plus the first lot of photo's with her she looked really mat and unappealing. However the new lot of photo's which came out really brought out the translucent effect of her horns, and wings and getting a closer look I saw she had awesome clawed hands. 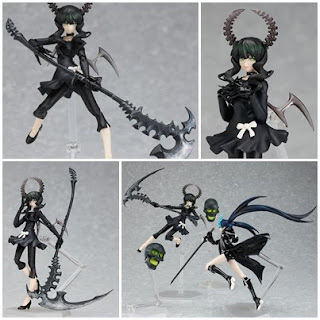 So since I love evil-looking demon characters I decided I must get her, plus I already really wanted her scythe. 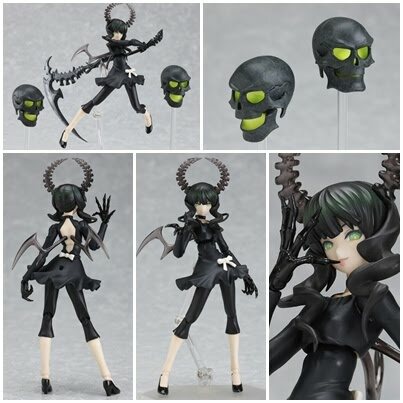 Dead Master is coming out in late October and I ordered her through AmiAmi. Now onto my wish list. 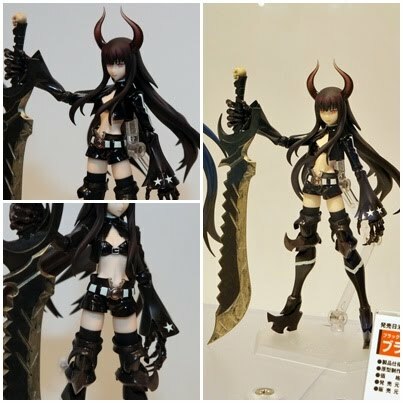 Another character from Black Rock Shooter is coming out Black Gold Saw, and well she looks even more evil and demon like than Dead Master, I just love her horns and long clawed hands, so an instant get for me, lol I am a sucker for a villain. 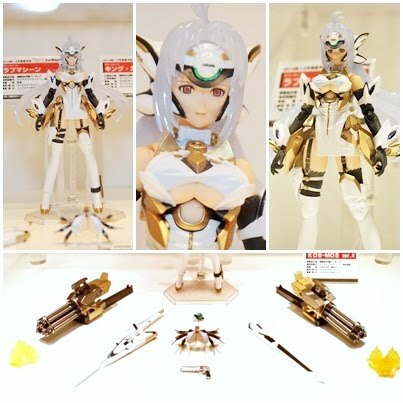 The lovely Figma KOS-MOS from Xenosaga, I saw her images of an unpainted version a while back and was instantly drawn to her even tho I know little about her, but her design and weapons are just awesome. Now that I see a painted version I am certain I want to pre-order her when she comes out, her white translucent hair he massive guns, and her interesting clothes design, she just looks really pretty and cool. One thing I love about Japan is that they know how to make wickedly awesome female characters. So a definite get for me. 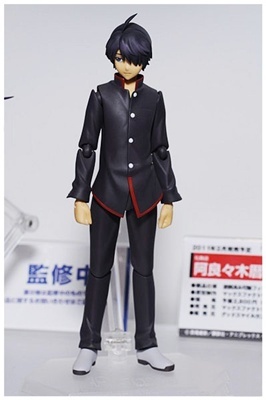 A new male Figma is also coming out Araragi Koyomi from Bakemonogatari which is an anime which I would like to watch sometime if they release DVD's down my way. He sounds like a really interesting character plus I really love his character design, far more interesting to me than the Haruhi Suzamiya boys, and I am always on the look out for interesting male figures to add to my collection. Another very cool Figma Metis from Persona 3 who is an android like Aegis. 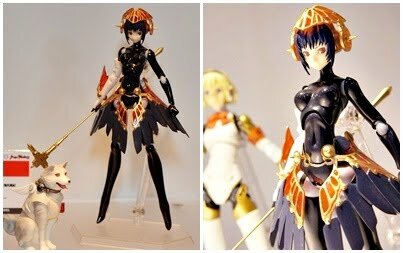 Her design is just great a nice android creation who kind of looks like she is royal with her jeweled armor, the gold and red. She would be a happy addition to my collection and look good beside Aegis. 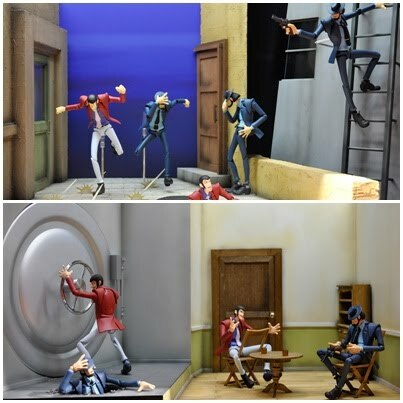 Some awesome new Revoltechs are coming out Lupin the 3rd and his pal Jigen Daisuke, and may I just say that the Revoltech display for them which was at the WonFes was awesome. I really love how Revoltech are filling a niche by bringing out a great line of classic anime male characters, I am really loving it. Vash is awesome and soon Wolfwood will be joining me, and the Sengoku Basara guys are also very cool. So I was very excited when I got wind that they were going to make Lupin, I have only sadly seen the Ghibli movie with Lupin as the others are very hard to come by DVD's here in NZ. But I loved his character, and his mates. So these two are definite gets for me. More Nendoroid play sets are on the horizon too, this one is by far the nicest so far I think. It's just gorgeous and although I don't have many Nendo's I might wait and see how this looks with Figma in it, and if it fits nicely I might order myself one, or perhaps I will order some and run another competition, that would be a good idea. 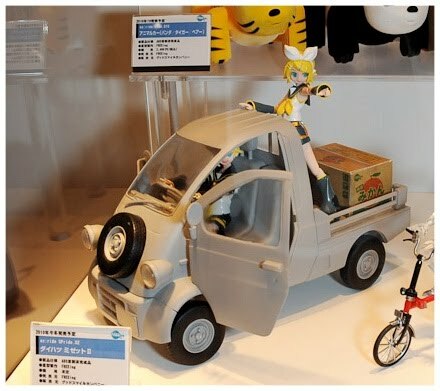 Figma and FREEing Ex:Ride continue to bring out new vehicles for our figures to try, this time a very unusual looking truck car thing. Although I am not sold on whether I want this or not, I thought I would share it because it is just great, and I hope they will make some more cars for Figmas. 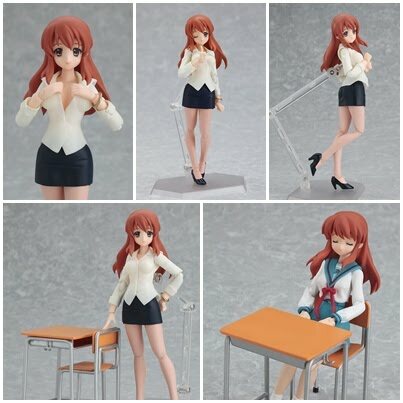 Figma Mikuru Asahina Adult Version is also out now for pre-orders and although I am keen to get this figure because I love her clothes and want to use her some fun body swapping photo's I will hold off until for now as I already have a lot of pre-orders for the rest of this year, so I will wait and see. Thats all for now, I hope you enjoyed listening to my ramblings. I have ordered Adult Mikuru and BRS already and also waiting for Kosmos. I believe you forgot about Figma Mirai... ^^. I know tis is random but i need help deciding what nendoroid to get! here are the choices. Please answer in the next 2 days. Thanks! AGR, I wish I hadn't bought my Figma Haruhi so that she wouldn't be broken and I could but Figmas again! WHY DIDN'T I BUY NANOHA MOVIE 1ST VERSION????? WHY????? WHHHHHHHHHHYYYYYYYYY!?!?!?!?!??!??! Not sure why you asking me such an important question as two which Nendo you should buy. But if I had to pick I'd say that Sanae has by far the cutest sculpt, however Sakuya has some cool accessories. So I think its really which character do you like best, I don't really know much about Touhou so I can't say which is my Fav character. well, the anime's presentation style is like EF. lots of clever use of visuals and pop art representations. Yes, tis a shame Figure.fm Blurb is down, but the DC is up, I haven't been on it lately though, been busy. Hmmm shame that ur account not working. What! Earthquake, please be OK penguin. Had have pretty bad ones in MX years ago. er... can you post a bug report about me not getting into da site? that although the items are slightly on the small size for Figma's it not too bad a fit.